Our latest sombrero, Hand made art from Mexico. 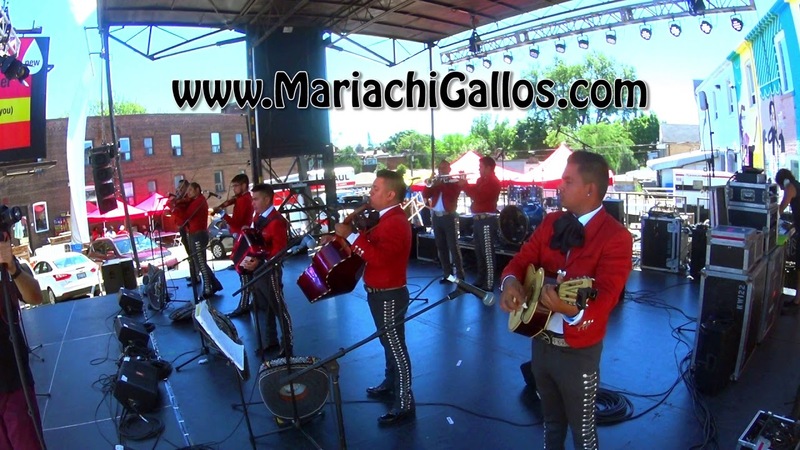 Mariachi Los Gallos invites you to enrich your affection for mariachi by experiencing the band’s dynamic energy and rich cultural expression. The expression of México’s authentic Musical heritage lives on through the voice of Mariachi Los Gallos!! I was hosting a birthday party for my husband and inquired about the possibility of having Mariachi Los Gallos perform at our house. I am so glad I did! Roberto was quick to respond and help coordinate all the details and the performance was the highlight of the party! We were able to request our favourite songs, my husband was so happy and our guests truly surprised! We had an amazing time!!! Thank you so much for an unforgettable night! Yulia!!! We are so grateful for your kind words, we had a great time with all of you! Just had los Gallo’s play for my husband’s surprise birthday party! We were blown away! What an excellent performance and the birthday guy and guests were truly surprised 😀 whether it be on stage or in our case our kitchen they are the best mariachi band I have ever seen!! Thanks for your feedback, We really appreciate it!! It was great to meet you and all your beautiful family. We are working really hard to ensure everyone who hires Mariachi Los Gallos has a unique experience of what Mariachi music is. I hired Los Gallos for a memorial service just this past weekend. The initial quote was given about a month prior to the Memorial service request. The continued communication with Roberto was very easy, via e-message and by phone. Up until the day before the event Roberto contacted me, very understanding of my needs and wants. When his band stepped in at the cemetery my guests were taken aback, to their authentic attire, their amazing sounds, their professionalism, I can go on and on BUT will end with my upmost gratitude and recommendation. I will keep your number for further use and most definitely recommend your amazing group. Thank you once again Roberto for making all of this an easier journey and a most memorable moment in a time of grief. Thank you for making us part of this very special moment, is very rewarding for us to have reached our goal. Mariachi LosGallos was amazing! They came to Hamilton and were punctual, walking into our apartment singing, and my mother was very surprised. They were professional and knowledgeable when it came to a variety of songs. Loved their performance and honesty. Roberto quotes a price and that was exactly what I was charged. Thank you so much guys. Very Professional and they Sound Great! They arrived early to the venue and followed instructions the party turn out exactly as planned , very professional, very smooth doing business with them, great group will hire them again for sure! Rosa thank you so much for taking the time to leave us this amazing review!!! It’s been a year since your event, time goes fast! Thank you for your service , i enjoyed it very much . Next time i will forsure be calling again. 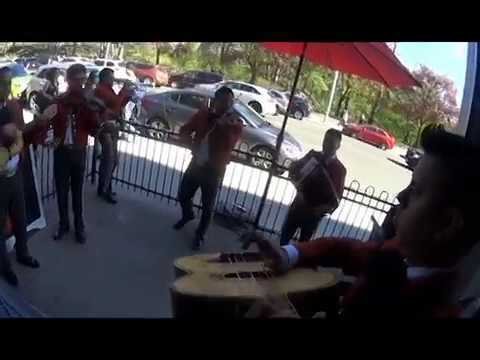 Definitely recommended Mariachi Los Gallos. Despite that we, the party organizers only had a few days to coordinate the Mariahi; working with Los Gallos was a positive experience. From communicating with them, arranging the details was easy (day, time, location, etc. ), to they arrival at our party, they were on point and on time. All our guests had an enjoyable and memorable experience. Until next time, guys. GRACIAS!!! After another Mariachi Band left me high and dry for a closer gig it was Mariachi Los Gallos to the rescue. I only wish I had found them first. Roberto was very easy to deal with and a consummate professional. They made the trek North for a Christmas Fiesta Party my wife and I were hosting. The party was going very well but when Roberto and his band snuck in the back door and started to play the party went to a whole other level. These guys have a ton of energy and were the best dressed Mariachi Band I have ever seen. The comments from guests keep rolling in days later. Only one problem.....how I'll top it next year. If you have the need for a band of this type I would highly recommend Roberto and his band. We booked Los Gallos for our annual fundraiser in Fort Erie Ontario. They were professional, fun and definitely set the right atmosphere for our "Christmas in Mexico " theme. I felt like I was in Mexico. I would highly recommend them. They were punctual and very easy to work with. We hired this band for my moms birthday and they were awesome. Very high quality mariachis. I loved that they even had a white Canadian (I think) and a woman in their band. They were also very responsive to our requests and were right on time. It was an amazing experience for my whole family!!! Thank you thank you!!! We just hosted a party in Aurora to celebrate Mexico's independence day. We brought Mariachi Los Gallos as a surprise to our guests (all Mexicans) and we loved it. Everybody sang to the top of their lungs, the band was very accommodating with all our requests. The only bad thing was that they couldn't stay more than 1 hr as they had a previous engagement afterwards. A very positive experience, highly recommended. getting our event off to a wonderful start. Mariachi Los Gallos!! embraces the romanticism of México’s land, people and beauty of the heart. 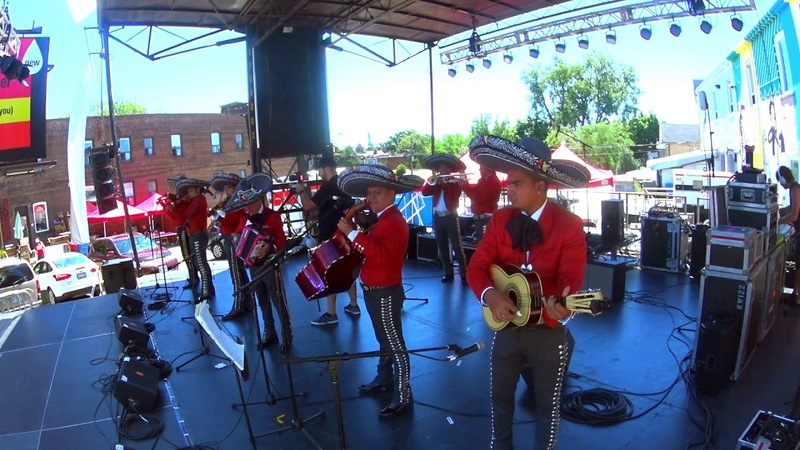 Roberto Mestizo and Mariachi Los Gallos invites you to enrich your affection for mariachi by experiencing the band’s dynamic energy and rich cultural expression. The expression of México’s authentic Musical heritage lives on through the voice of Mariachi Los Gallos !! Mariachi Los Gallos!! is truly a traveling cultural icon that symbolizes extraordinary musicianship and communal cross-generational joy. 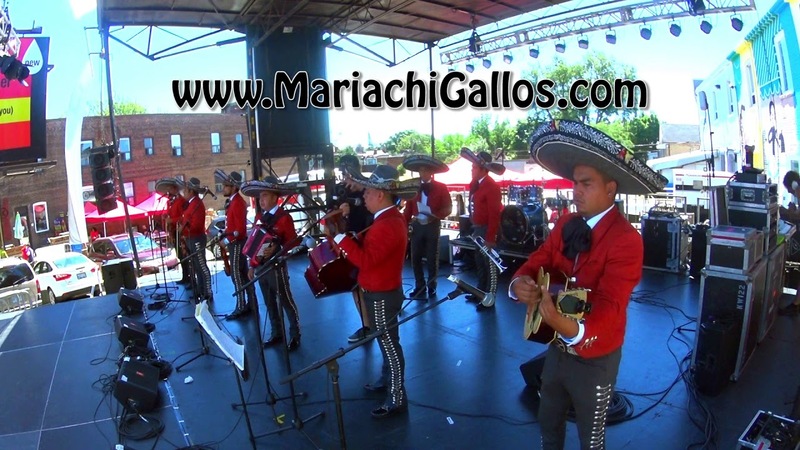 Formed by Roberto Mestizo, Mariachi Los Gallos consisting of vihuela guitar, Guitarron, Violins and trumpets, all the band members are highly accomplished musicians and singers. In its short life span, Los Gallos Mariachi has built its own distinctive identity, solid prestige and firm leadership. 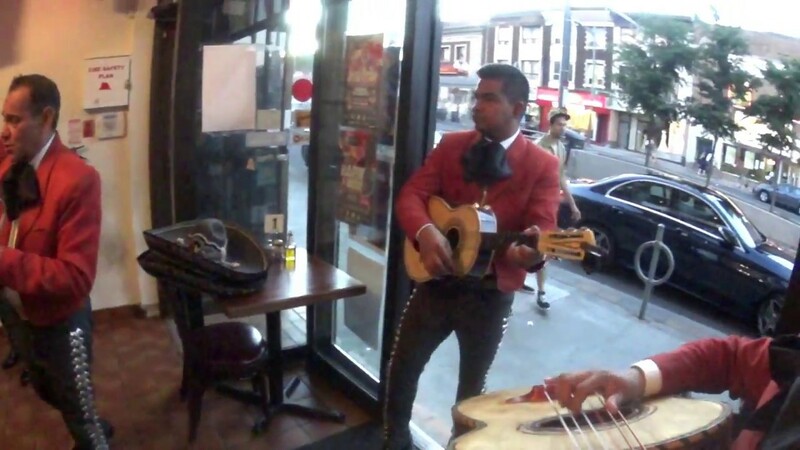 Its success story has positioned it, as an iconic role model for old and new mariachi bands in Canada.